Aanifeira is delighted to receive international volunteers for internships and they play an important role in the running of the shelter. General animal handling and restraint / Handling injured animals / General physical & clinical examination / Collect samples (blood, urine, faeces) / Administer medication by oral SC, IM, IV Routes / General Anaesthesia / Vaccinations / Microchipping / Deworming. Please note that we are NOT an exclusive spay/neuter clinic and that some other surgeries are performed but always under the supervision of our vets. Some participation is permitted in surgeries but also just looking on and learning is part of this depending on the surgery at the time. It should be noted that there may be other veterinary interns (4 max.) here at the same time as you are. We usually have 1 or 2 surgeries a day during the week depending on bookings and Friday afternoon is free for the volunteers however if there are surgeries on you are welcome to stay for the afternoon too. Saturday is very busy with many visitors/adoptions/volunteers and consultations from the general public. Work also includes treating any problems that arise with Aanifeira’s own resident dogs and cats living at the shelter. There is a strict adoption policy for new owners and included in this, is the veterinary backup/support for each animal leaving the shelter. We are very happy to receive student interns taking an Animal Care course. Exercising dogs / Basic health check-up dogs and cats / Grooming – bathing for dogs / Dog clipping / Feeding – cats and dogs / Health & hygiene – cats and dogs. For those students with a desire to be a vet nurse there would be the possibility of sitting in/observing with the veterinarian on consultations, etc. Members of the public with, not only a love of animals, but a background knowledge of construction, gardening, electrician, plumbing, etc. would be most welcome to help out on general duties around the shelter. Aanifeira is a non-profit association relying quite largely on donations and therefore needs to rent an apartment for volunteers when they come here. The apartment is located in the centre of Santa Maria da Feira and in order to maintain it, we need to ask our volunteers to pay Euros 15 each per day to help cover expenses. We do require prepayment for the apartment one month prior to students coming and information on how this is done and the name of the bank, together with other feedback on what to bring along, will be provided before the start of the internship date. The apartment has three bedrooms (2 twin bedded rooms and one room with two bunk beds for 4 students). Up to eight students can be accommodated at one single time. Although this number is not always reached at one time, at least 4 or more students will be accommodated throughout most of the year. Students should be aware beforehand that they may have to expect this type of situation and if the house happens to reach maximum capacity, then there must be discipline, understanding and tolerance amongst all students so that everyone can enjoy their experience with us. It should be noted that those students coming on their own may have to share a room as individual rooms are not always available. The apartment has all amenities such as fridge, stove, toaster, electric kettle, washing machine, microwave, TV, music and free Wifi. There is close proximity to supermarkets, shopping centre and small stores all of which are located within walking distance of the apartment. 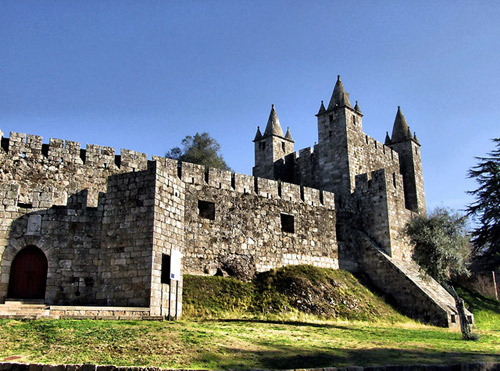 Santa Maria da Feira is located about 35 kms south of Porto in the north of Portugal. Historically important, it boasts an emblematic medieval castle dating back to the 12th century. In late July /early August, for around 10 days, one of the largest medieval fairs in the country takes place. “Viagem Medieval de Santa Maria da Feira” as it is known is held in the heart of the town and visitors can enjoy gastronomy, traditions and culture which portray the daily life in a medieval village. Regional battles, horse tournaments, banquets, royal parades and weddings of that period are also displayed during the fair. We strongly advise all international volunteers to take our their own health insurance whilst doing their voluntary work at Aanfeira. For those who come from within the EU community a European Health Card can be obtained free of charge. For non-EU volunteers please contact an insurance company or your local travel agent for obtaining health insurance coverage whilst in Europe. We provide transfers to and from the airport – one of our team will meet volunteers at the airport on arrival holding up a plaque with the name ‘AANIFEIRA’ on it and do a drop off on final day back to the airport or into Porto if desired. Daily transfers to and from the apartment and the shelter are also provided for all volunteers. NOTE: It will sometimes be necessary for interns to have their work split into different shifts: Morning or Afternoon This will be the case for when we only have TWO intern students at one time with one taking the 1st shift – 09H00 > 17H00 and the other taking the 2nd shift – 13H00 > 20H00. This is so that the Aanifeira vets can ensure that all will run smoothly throughout the day. 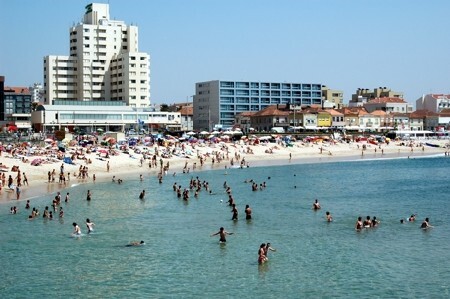 Espinho – 15 kms away – resort town located right on the coast. With 8 kms of white sandy beaches some with natural rocky inlets, there is an excellent opportunity to enjoy these beautiful surroundings. Beach volleyball world championships take place in the summer months right on the beach attracting people from many parts of the world to see them. There are plenty of good seafood restaurants along the oceanfront and in summer, beach bars are extremely popular. Designated an UNESCO World Heritage site for its historic buildings and outstanding monuments, highlights of Portugal’s second largest city include the formidable Porto cathedral, the Torre dos Clérigos and the conspicuous Port wine lodges that dominate the hillside of Vila Nova de Gaia. 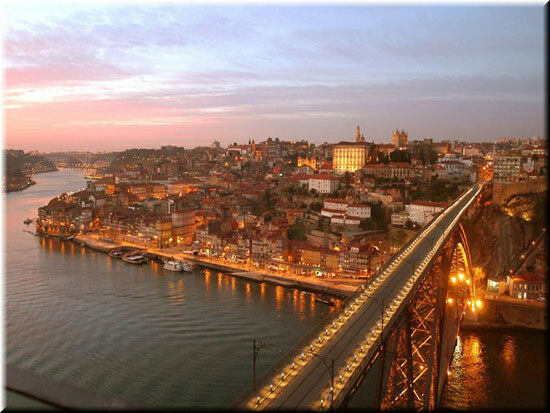 Although largely industrialised, Porto offers a compelling synthesis of ancient and contemporary attractions such as visiting the Port wine cellars, Sé Cathedral, Casa da Música, Torre dos Clérigos and the historic “ribeira” area located right on the Douro River waterfront and filled with small restaurants and bars. Port wine cellars are all located in Vila Nova de Gaia (opposite side of the river to Porto) and there is an opportunity to visit them and learn about how Port wine is made. Port wine tastings are also provided afterwards with an explanation from a guide on the different styles of Ports available. 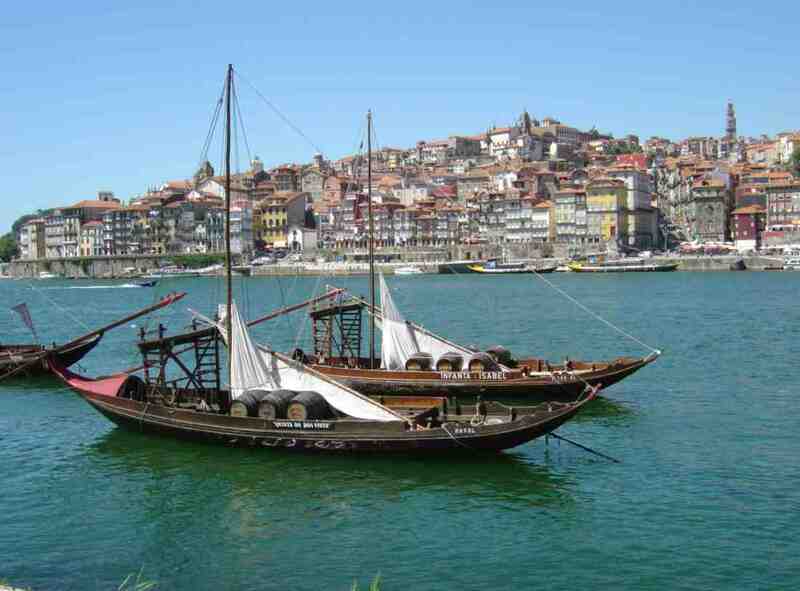 Enjoy a cruise on the River Douro or just wander the old streets of Porto, there is always plenty to see and do. If volunteers are looking for inexpensive accommodation in Porto we recommend the YES HOSTEL located in central Porto at the following address: Rua Arquitecto Nicolau Nazoni 31, 1100-527 Porto – Tel: (00351) 222 082 391 – infoporto@yeshostels.com Reservations can be made on line on this link – YES HOSTELS. The closest airport to Aanifeira is PORTO airport (300 kms north of Lisbon) and it is serviced by many low cost airlines i.e. Ryanair, Easyjet, Air Berlin, Transavia as well as the usual European airline services i.e. TAP Portuguese airlines. If travelling by train from Lisbon to Porto ideally it is best to get a train to ESPINHO which is the closest train station to Aanifeira. Portuguese Railways are efficient and inexpensive to travel on. Ideally those interested in coming to Aanifeira on a volunteer basis should advise us with at least a minimum of 30 days. Accommodation is sometimes difficult and it best to book early! A information profile form is available on request which will help give us details of who you are and where your main interests lie. If you are interested in doing volunteer work with us at Aanifeira please contact international@aanifeira.pt for further details. Hi, I’m another fourth year student and would love to do a placement along with Niamh Casey next summer if that would be possible?? I will contact you through the normal channels with all the details. Many tks! We’re Joost and Esmeralda from the Netherlands. Hi there, we will be in touch very soon directly to your email! Thank you. I was wondering whether myself and a fellow 4th student Emma (both from Nottingham) could do two weeks at your establishment during August 2016? We are very keen to see practice with you and hope that you have space for us! Hi Imogen we’ve already sent you an email direct from our official email address. Hope you have received it and we look forward to the possibility of having you with us next year. Thank you and best wishes. My name is Annalese and I am a recently graduated Vet in the UK who qualified in summer 2013 from the RVC. I would be very interested in Volunteering for Aanifeira as a Vet to help out in animal care, neutering surgery, other Veterinary needs of the animals. Do you have any availability in May/June 2016? We are now following up with you Annalese- many tks for getting in touch and look forward to having you here a volunteer! Im a 4th year veterinary student and was looking to spend 1-2 weeks abroad during the summer 2016 and i was wondering what was avalible this summer? I just came back yesterday 24-5-2017 to holland. I had a lovely time with yours animals. I was glad that could help you out to take care of the dogs and cats as an volunteer. I took many pictures of all your animals. I really miss them a lot 😢 i hope one day they will find a new loving, caring and good home’s. One day i will return back to your shelter.